Earlier this month, I embarked on another installment (see a previous recap here) of one of Arizona's best culinary explorations - Visit Mesa's Fresh Foodie Trail®. Created to introduce locals and tourists to experiences in Mesa, Arizona and nearby areas of Gilbert and Queen Creek, this agritourism guide to some of our best farms, dairies, and food and beverage destinations can be downloaded here. Follow along as I accompanied visiting media influencers from Chicago, San Francisco, Seattle, and Minneapolis on a day trip led by Michelle Streeter of VisitMesa highlighting some Arizona gems. We began with fuel for our foray at TC Eggington’s Brunchery. a beloved Mesa institution serving breakfast and lunch for over 30 years. Our hungry group feasted on made-from-scratch specialties such as crab and artichoke-stuffed puff pastry, Foster's French Toast with cinnamon bread and caramel, Crack O Dawn skillet with diced ham, onions, potatoes, and mushrooms, and the Farmer's Market Eggs Benedict with spinach, tomatoes and avocado. 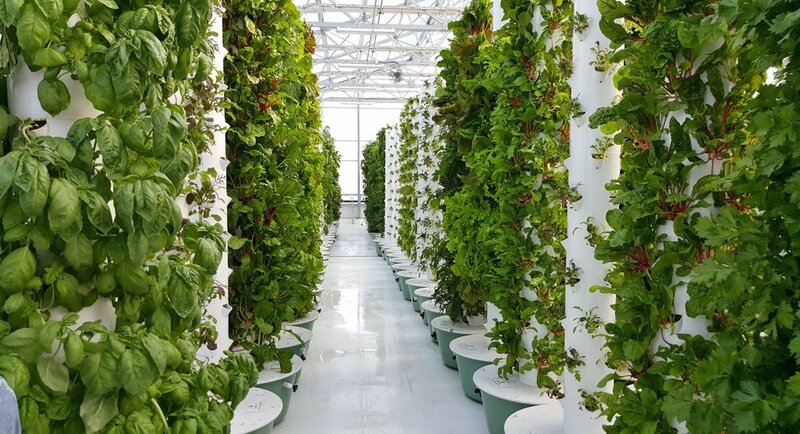 We learned more about farm-fresh ingredients at our next stop, True Garden Urban Farm, a 5,000-square-foot vertical aeroponic farm. Owner Troy Albright shared his knowledge and enthusisam as we were told that his use of Tower Garden® technology for his solar-powered greenhouse uses 95% less water and 90% less space than traditional methods. As a compound pharmacist by trade, Albright's gardening venture stemmed from his interest in natural and alternative medicine and the way our diet affects our health. Plants are grown in a Polygrow solution containing over 70 essential minerals and nutrients. He explained that you can fit 52 leafy greens, herbs, vegetables, herbs, fruits or flowers in less than three square feet on a 9-foot vertical tower - indoors or out. "As I started growing in the towers, I realized this is so much easier than any type of farming I've ever done. Our carbon foot print is very small. Most of the farmers markets we travel to are within 20 miles, and when we harvest, we are leaving the roots on so they are still living plants and stay fresher longer. The main comment I get is how clean the produce tastes." His exceptionally fresh and intensely-flavored produce can be found on various restaurant menus, offered in CSA shares, and sold at local farmers markets. Next was lunch at Jalapeño Buck's, one of Mesa's best-kept secrets. This two-year-old BBQ joint is located at B&B Citrus Farms, established in 1915, which also sells and ships citrus in season. Our friendly hosts were owners Duaine and Dianne Burden. This popular spot describes itself as "Arizona-style BuzzSaw Brand BBQ and New Wave Mexican Soul Food," offering a menu of "Buckin' Good BBQ and Burritos" and, as seen by the fast-moving line, the word is out! Brisket, of course, takes center stage and Duaine invited us to gather 'round as he carved a slab fresh out of the smoker. He explained that he uses a blend of 90% pecan and 10% red oak to smoke the brisket for 15 to 18 hours, and then demonstrated how to cut the brisket across the grain as our mouths watered. "I really should be using a butter knife," he laughed. "This is what your brisket should look like." Duaine told us how this all started and how he ended up building Jalapeno Buck's on his family's farm. "About ten years ago, we started doing this out of our house, starting with one hot sauce. We had a little refrigerator in our entryway and a mailbox on the wall. People would come by, grab their hot sauce, and throw some money in the box. One hot sauce turned into two, then a couple salsas, and a year or two later I was smoking pork butts and rolling burritos. It got to the point where we would have thirty dozen burritos pre-sold on a Saturday morning at home." On the menu you'll find BBQ by the pound, sandwiches, burritos, and chips and salsa. All the salsa and sauces are his creations except for two, the Sure Crazy - "I traded a friend a recipe for that," - and another that is his mother's recipe. My favorites of the items I tried? I loved the burnt ends (cubes of brisket cut from the point end), spicy red chile burrito, and the brisket with peanut butter and jelly. I'm a fan of the creamy nuttiness and savory-sweet accent PB&J lends to a meaty burger (as I've mentioned before), and I dare say it's an even better combination with thick slices of smoky, tender, beefy brisket. Our next destination was a tour of Schnepf Farms, a 300-acre peach orchard and farm owned by Mark and Carrie Schnepf. Mark, who was also Queen Creek's first mayor, shared the history of his family's farm which was established when his grandfather bought 640 acres in 1941 for $25 an acre. It is still a working farm where people can not only pick their own peaches and vegetables but also attend performances, fine-dining dinners, harvest festivals, weddings (close to 100 a year), and events. "We had over 100,000 people come visit us in October," said Mark. "And that's over 16 days, because we're not open every day. On our busiest day, we had 20,000 people here." First, for us, it was all aboard for a train ride through peach orchards and past family-friendly entertainment areas. We also hopped on golf carts to see more of the property, including a variety of wedding and event venues such as The Meadow, which comes complete with dressing rooms - a cottage for the bride, and an upscale camping tent for the groom. New to the property are a collection of Airstream rentals - perfect for wedding guests! Our idyllic afternoon ended at the Country Store and Bakery (breakfast and lunch served Thursday-Sunday) with Carrie's decadent warm cinnamon rolls. We continued our Queen Creek journey with a visit to the Queen Creek Olive Mill, a working mill, restaurant, and shop where olives are grown, harvested, pressed and bottled. It was a beautiful afternoon to sit under the kalamata olive trees and enjoy an olive oil sampling led by Kim Zoeteman. We tasted award-winning olive oils including those made with natural co-pressed and blended ingredients such as roasted garlic, chocolate, basil, and Meyer lemon, and learned about seasonal olive oils such as Robust (harvested in October), Balanced (November), and Delicate (December). And no visit to Queen Creek Olive Mill is complete without a selection of their fantastic moist and fragrant olive oil cupcakes. My favorite is always the Meyer lemon. Our Fresh Foodie Trail then brought us to another favorite Arizona artisan. 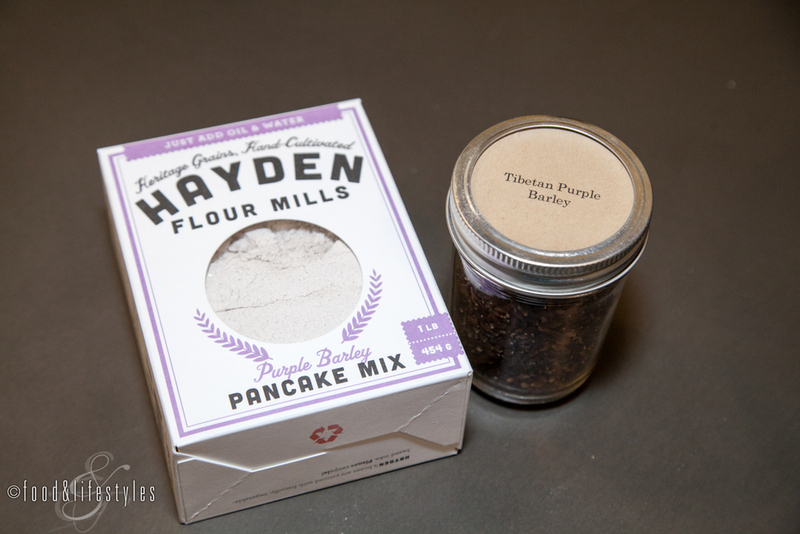 I am a huge fan of Hayden Flour Mills; you can read my in-depth feature here. Located at Sossaman Farms, they supply local stores and restaurants all over the country with their stone-milled ancient and heritage grains. On this visit, we had the special privilege of being able to spend time with mill owner Jeff Zimmerman, Steve Sossaman (whose farm will be celebrating 100 years in 2018), producer and director JD McClelland of the soon-to-be-released culinary documentary The Grain Divide, and Brian Shell, project manager and Jeff Zimmerman's son-in-law. They also gave us a sneak peek at an impressive two-year project nearing completion: An expanded facility with stone-grinding mills imported from Italy and a food hall and kitchen that will showcase guest chefs using Hayden Mill and Sossaman Farm products. Soon it was time to visit Barnone at Agritopia in Gilbert, Arizona. Barnone is the brainchild of visionary Joe Johnston. You can read more about Joe and Agritopia, a 160-acre urban farm and residential community, in my feature here. Constructed from the aluminum of melted-down World War II airplanes, Barnone is a Quonset hut housing a unique craftsmen village. Barnone is divided into ten "maker spaces" including vegetarian restaurant Uprooted Kitchen. Joe's son James' Fire and Brimstone pizza, Everybody Loves Flowers florist, Prickly Pear Paper letter press, a hair salon, 12West Brewing, leathercraft and woodworking, Johnston Arms with high-end and custom hunting rifles built by Joe's brother, and Joe's machine shop. But for us it was wine time! Our destination was Garage-East, a collaborative winemaking venture between Todd and Kelly Bostock of Dos Cabezas Wines and Megan and Brian Ruffentine. "Megan went to high school with them and we reignited the friendship about eight years ago," Brian explained. "We would go down to their winery, help them harvest, and work alongside them." Fast forward to Joe Johnston inviting the Bostocks to join Barnone and Brian retiring from his 25-year career in the fire department. "I closed that chapter, and started a new chapter of life. It's been a lot of fun, we've learned a bunch." Garage-East will celebrate their year anniversary on November 24, and their goal is two-fold. "We want to represent Arizona, and represent Arizona really well. And we want this to be a comfortable place where you're exposed to Arizona wine, but it's not the main topic of conversation. We want you to come here with friends, or meet new friends, and have our wine be an accent to that." And lingering is encouraged. For noshing, Garage-East offers an Arizona-centric platter with The Pork Shop snacksticks, Agritopia honey and dates, Crow's Dairy goat cheese, Arizona Dairymen cheese curds, and crackers from Hayden Flour Mills. rounded out with fig spread and Japanese peanuts. Guests can also bring food from home, or pick up Barnone snack plates such as the antipasti platter from Fire and Brimstone and the hummus from Uprooted Kitchen that we enjoyed. They were perfect partners as we dove into wine tasting. Brian started us with their 2016 Rosé. "It has a great structure to it with a nice amount of acidity. There are a couple of spicy pizzas Fire and Brimstone make and it's glorious with it." We were also introduced to the lovely amber-hued Pinot Gris, reminiscent of orange wine, made with grapes sourced from Buhl Memorial Vineyard in Willcox. Next, we were poured Garage-East Primitivo (also known as zinfandel) blended with tempranillo and syrah. "For folks that like something lighter like a pinot noir, we'll push them in this direction. It has a little spice and nice cherry notes." We finish with the robust Garage-East 2014, a blend of barbera, montepulciano and aglianico grapes. "This is what we pour for those folks who say they only like cabs. It's more full-bodied with a longer finish and dark fruit. If we had the ability to cook you up a beautiful steak, this would be perfect with it." We ended our fascinating and fun-filled day at Joyride Taco House in Gilbert, the second outpost of the original Phoenix location. I soaked in the lively vibe as I savored adobada, tinga, and carne asada tacos washed down with fresh-and-spicy cucumber and serrano margaritas (tequila, green tea syrup, cucumber, fresh lime, serrano chile, and muddled cilantro). It was the perfect ending to a wonderful day. To learn more about Mesa's Fresh Foodie Trail or to download your own brochure for exploration, visit this link. As a media guest, I was hosted by the Arizona Office of Tourism as part of a press trip. Stop two on our Visit Mesa: Fresh Foodie Trail brought us to Hayden Flour Mills on Sossamans Farms in Queen Creek (visit this link for part one: Joe's Farm Grill and Agritopia). I've been a big fan ever since buying my first bags of 00 flour, White Sonora wheatberries, and scone mix at the Bodega Market in Scottsdale. 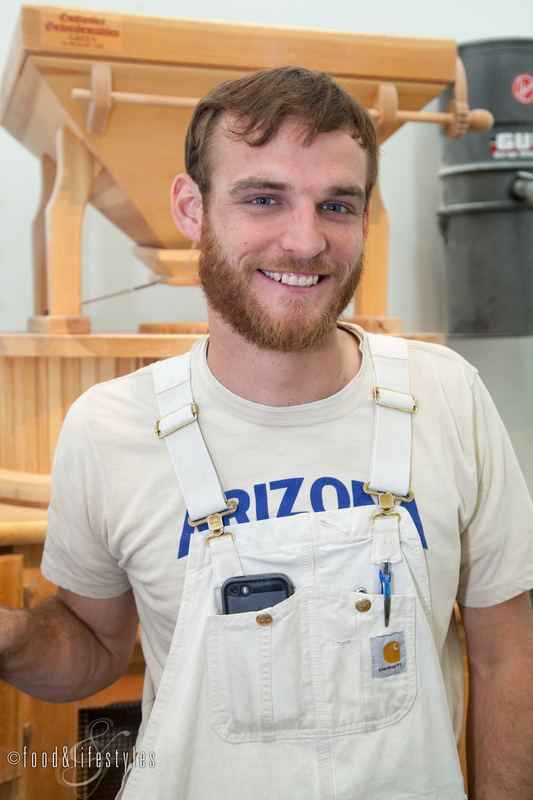 Jeff Zimmerman and his daughter Emma were inspired by Charles Hayden, who founded Hayden Flour Mill in 1874 in Tempe using stone mills and locally-sourced grain. Keeping in this spirit of agricultural authenticity, Hayden Flour Mills' flour is milled from the same heritage wheat grown by Hayden - White Sonora. We gathered together in the tour room of Hayden Flour Mills as Emma Zimmerman told us more about her family's company and the history of the ancient grains they use. "Wheat is not an indigenous crop," she told us. "White Sonora is the first grain that came to North America. Jesuit missionaries brought it with them and it caught on as a great alternative to corn." The Zimmermans started with a small amount of donated seed from this rare strain of wheat, eventually growing enough to mill. James Beard award-winning Chef Chris Bianco "was the restaurant champion for us," Emma said. For three years the Zimmermans operated out of a space in the back of his restaurant Pane Bianco, before moving to Sossaman Farms last year. Sossaman Farms had been growing their White Sonora wheat since 2012 and was naturally the perfect location. "The farmer and his wife rebuilt this for us," Emma told us. "It was really just a storage barn and they turned it into this beautiful space." This allows Hayden Flour Mills to have all processing done on site - growing, harvesting, cleaning, storing and milling. 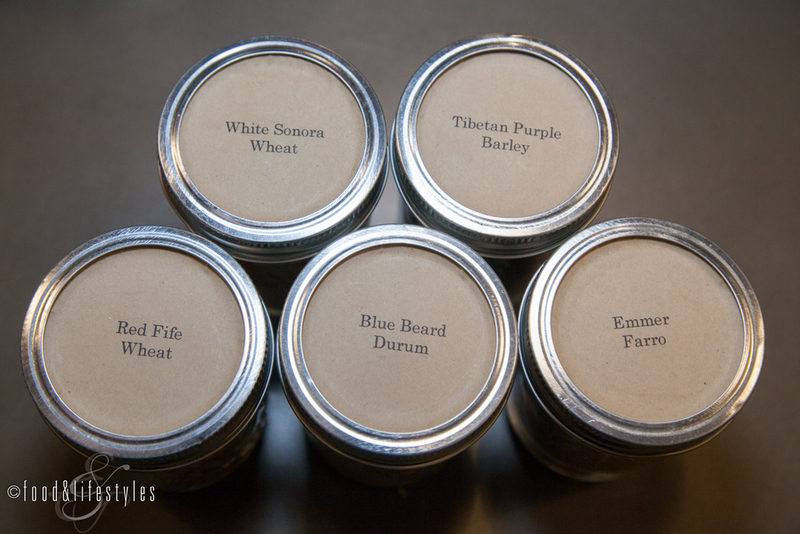 Smaller farms grow other ancient grains they've added to their repertoire, such as Tibetan Purple Barley, Red Fife Wheat, Blue Beard Durum, and Emmer Farro sourced from heritage seed libraries. "They may have saved a pound, for example, like Blue Beard Durum," explained Emma, "and we grew that until we had enough to mill commercially." The milling process is just as painstaking and we had the rare opportunity to see the stones as Master Miller Ben Butler was in the process of "dressing" them. "Stones get dull and need sharpening, or in the miller’s term, 'dressing', a long, tedious process," said Ben. This periodic maintenance is a necessary and time-consuming step. As the stones wear down and become smooth, the milled grains will become coarse and gritty instead of light and fluffy. First, the machines are taken apart and the grinding surfaces of the stones with "lands" (the flat areas) and "furrows" (or grooves) are painted red with a paste of flour, water, and food coloring. The stones are then put together and the mill reassembled. Once the machine is turned on, the stones are allowed to rotate against each other before the mill is turned off to check the markings. These markings show where spots that aren't flush need air hammering and redressing. "Then you take it apart, repaint, let it dry, put it together, find new high spots, air hammer, and start again. It can take anywhere from a few hours or a few days depending on how bad the millstones are and how long it’s been," Ben noted. He also showed us a German Osttiroler mill that has self-sharpening stones. It was a fascinating education on this artisan technique and a better understanding of what "stone-ground" entails. Back in the Tour Room, we had the chance to try our hand at grinding oat groats. I've never tasted such flavorful oats. Hayden Flour Mills is currently experimenting with pasta making and extruded pasta using bronze dies, and we were graciously invited to help ourselves to bins of rotini. I also did a little shopping, buying farro berries, stone-ground cornmeal, and pasta, chickpea, and semolina flour. As we learned on our tour, freshly milled flour is not only tastier and healthier but it's also important to be educated on the grain, where and how it is grown, milling technique and storage (we were encouraged to store flour in the freezer to preserve freshness). After visiting the mill, I'm an even bigger fan than I was before, and I left with a greater appreciation and knowledge of the passionate people behind Hayden Flour Mills. In addition to tours, this spring the Mill added classes in pizza, bread, and pasta-making, which quickly sold out. Stocking the pantry? You can find select Hayden Flour Mills products at Whole Foods and Sprouts, and their full line at the mill's online store. To plan your own itinerary, download the Fresh Foodie Trail brochure here.